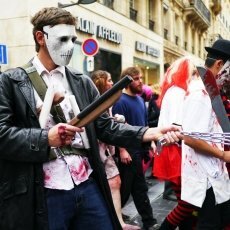 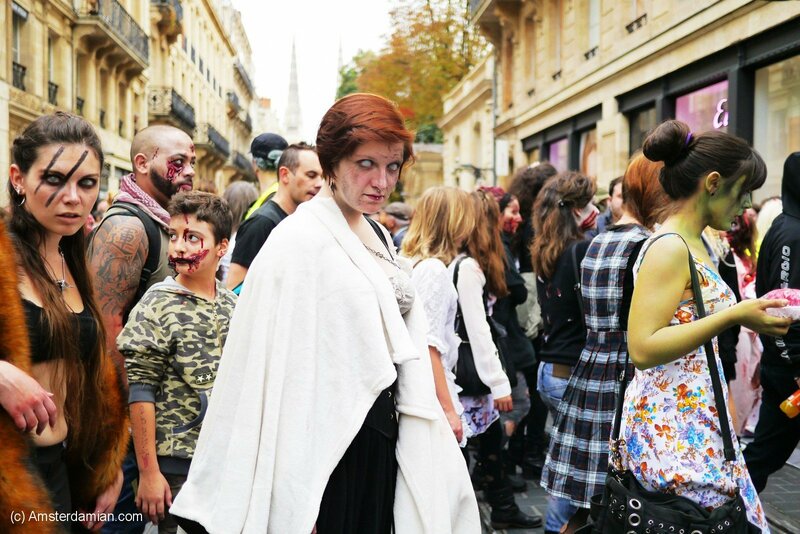 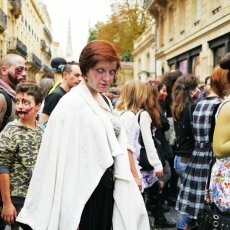 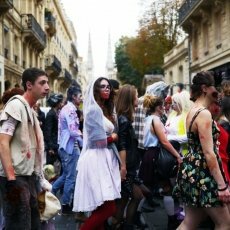 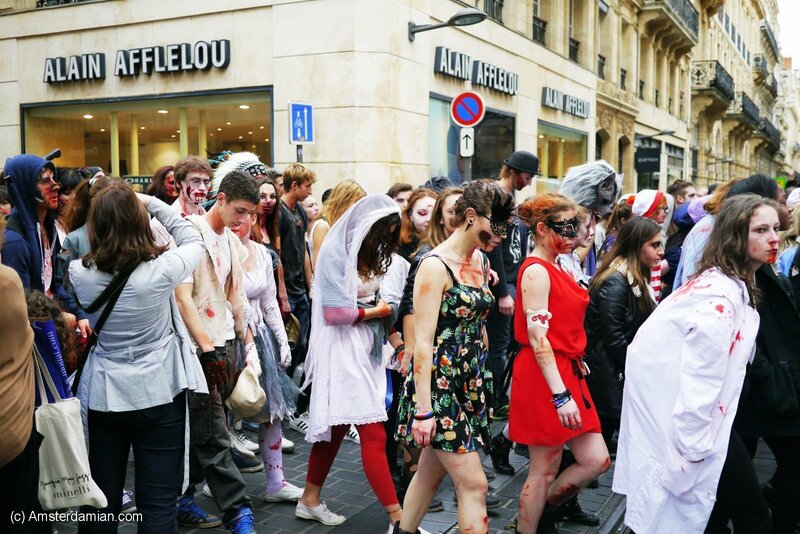 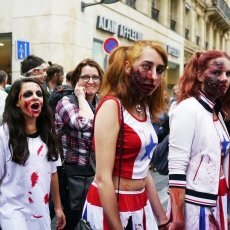 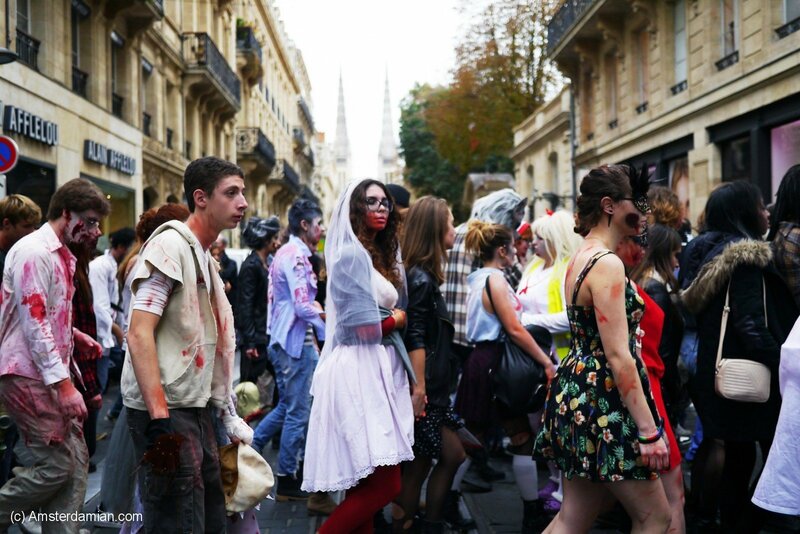 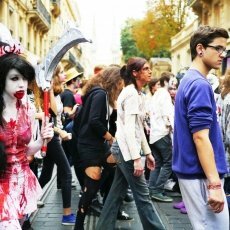 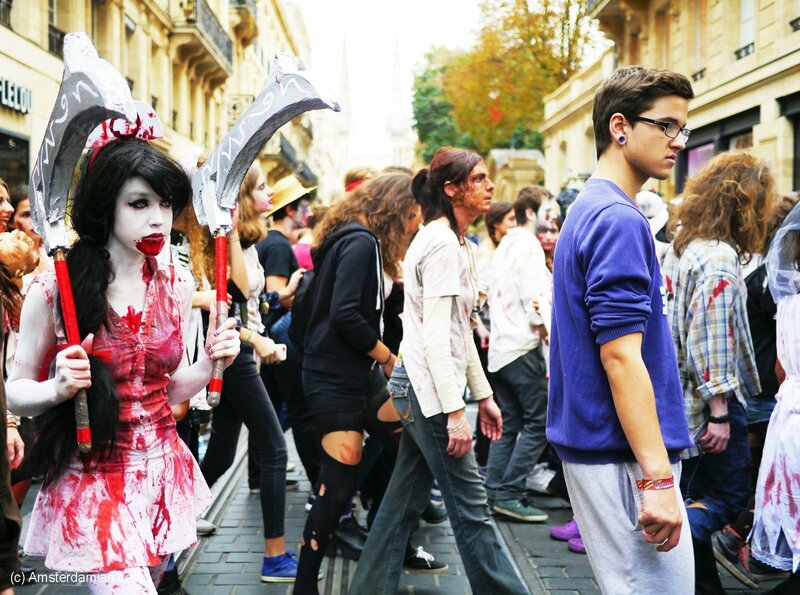 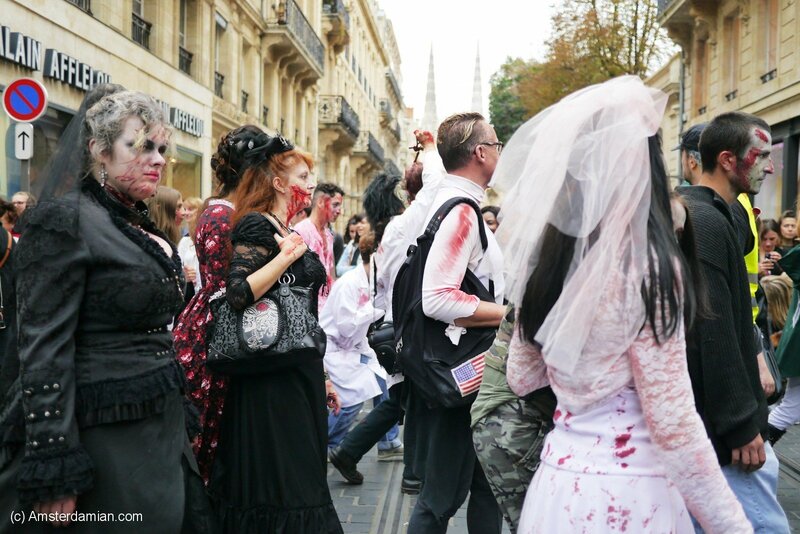 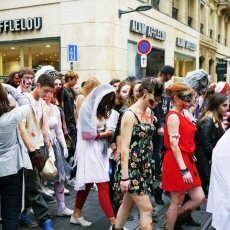 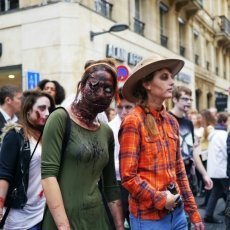 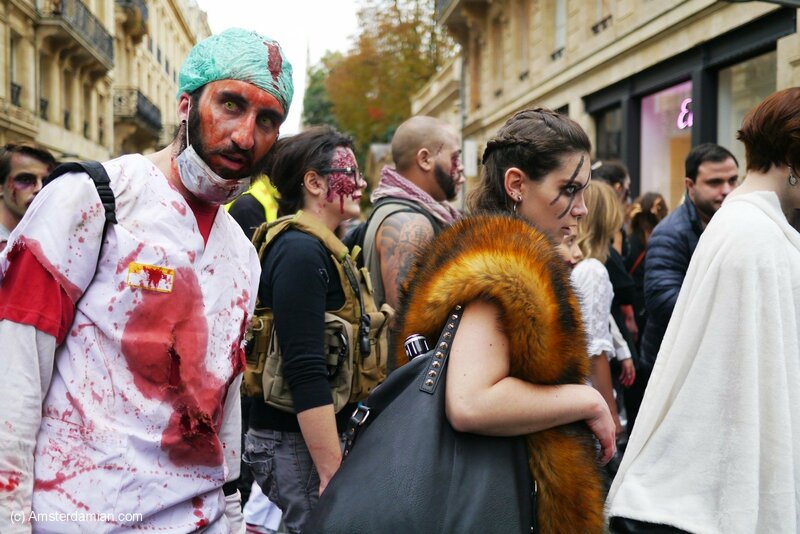 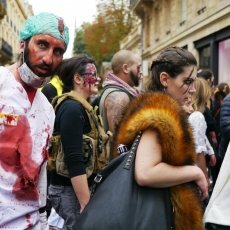 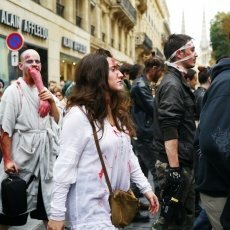 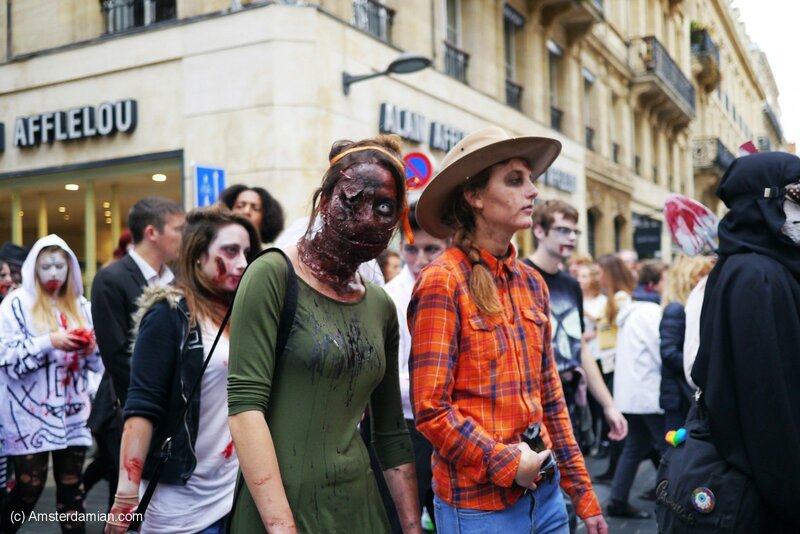 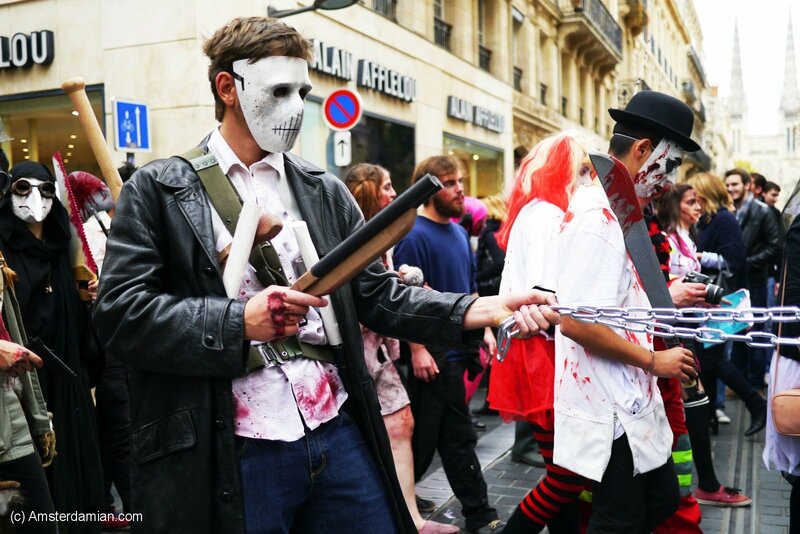 Because Halloween is approaching, and many of you will celebrate tonight, I thought I’d scare you a bit with these photos from a zombie walk. 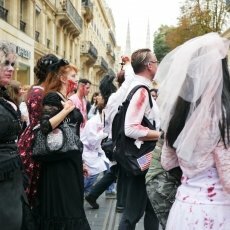 I was in Bordeaux last year when I happened to stumble upon this walk in the city centre. 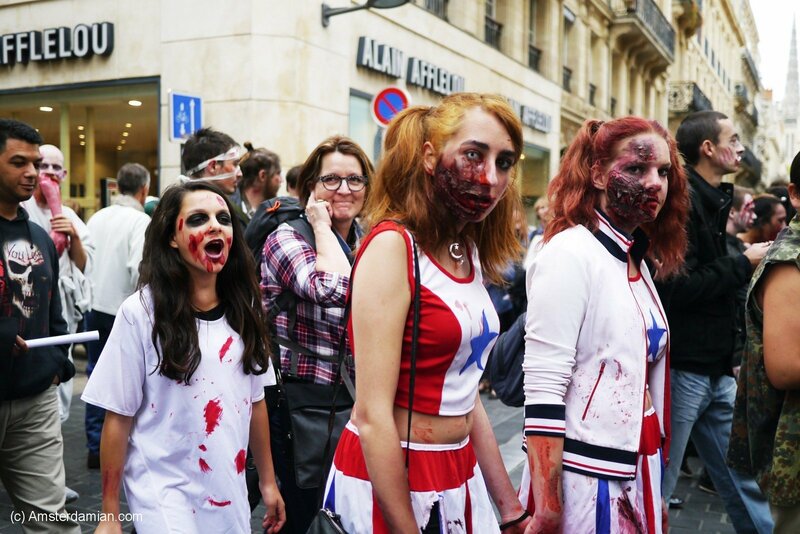 It was weird and scary, even though I knew those were costumes, but I was also fascinated by how well their make-up was done. 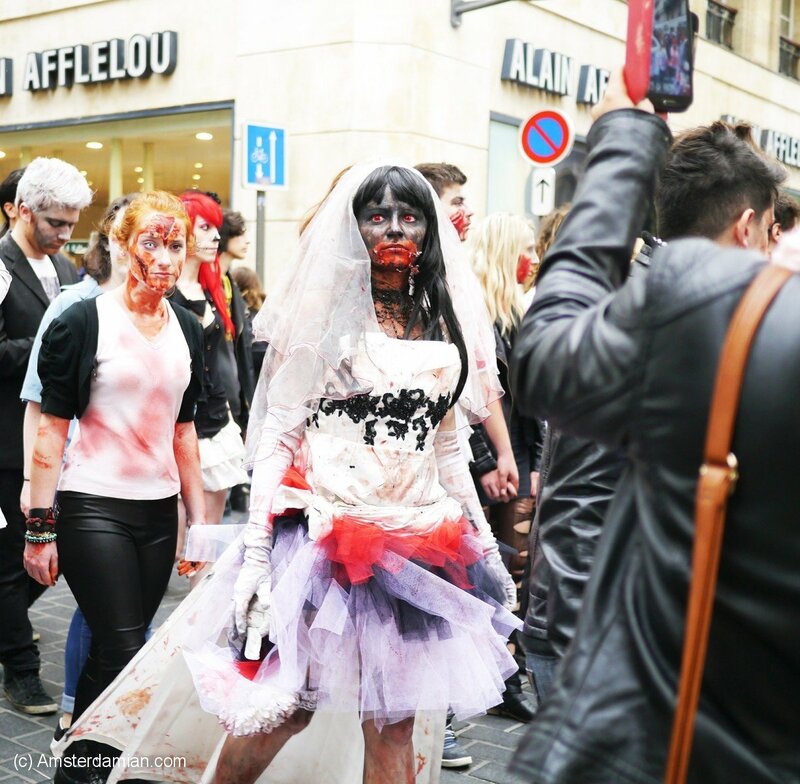 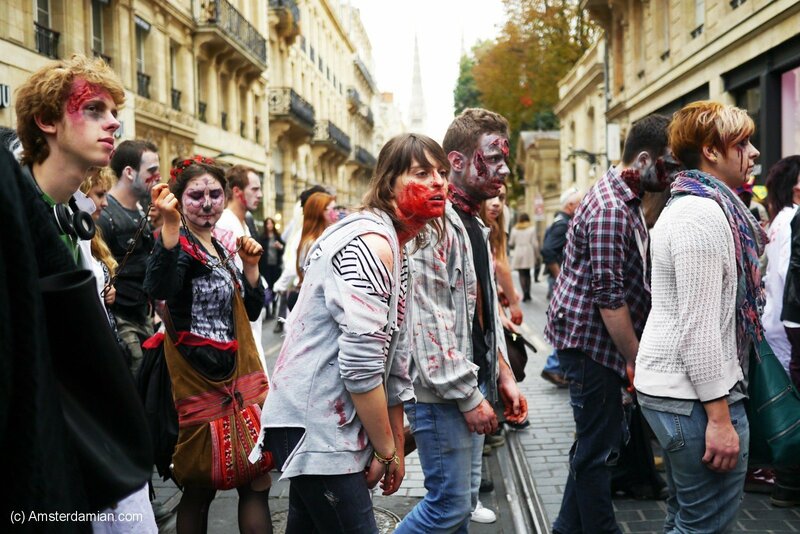 They were walking, growling and yelling: “Qu’est ce que vous voulez? 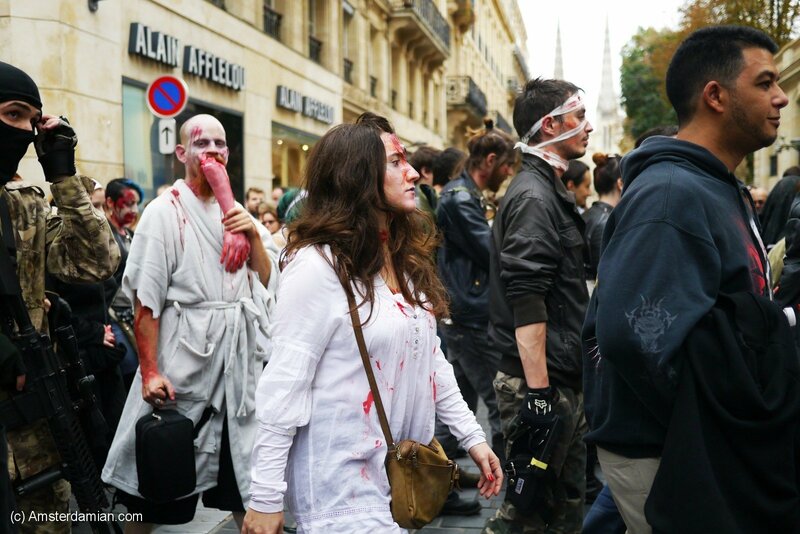 – Cerveaux!” (“What do you want? 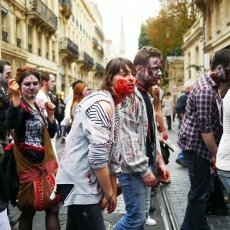 – Brains!”).